These little cute cakes are easy to make and can be made instantly when you have that little cake craving. 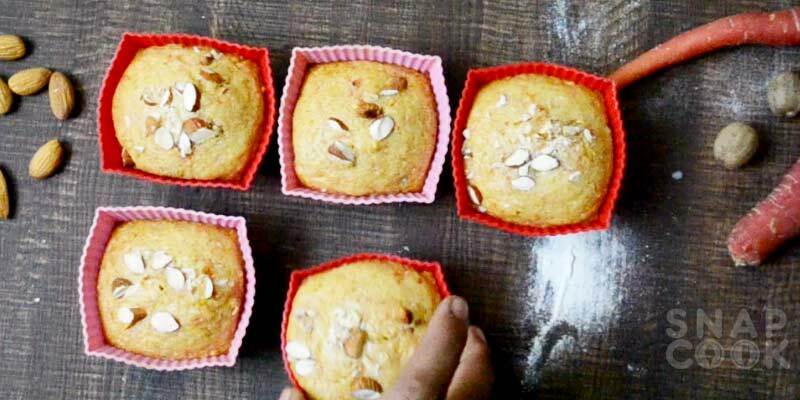 Kids love muffins and could be a best lunch box meal for them. But here is the big question?? Are these muffins healthy? Can I eat them daily or often? The reason for this is, all cakes .a muffins available in market use refined flour. Also they use egg which is a big concern for Vegetarians like me. lunch box recipe for kids as well. Butter – ¼ cup or 20 grams. Grated Carrot – 1 ½ cup. Fresh Orange Juice – 1 ½ tablespoon. 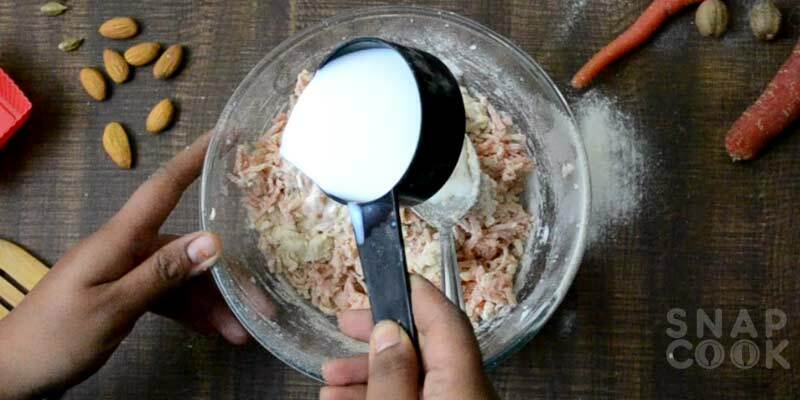 Grated Nutmeg – ½ teaspoon. 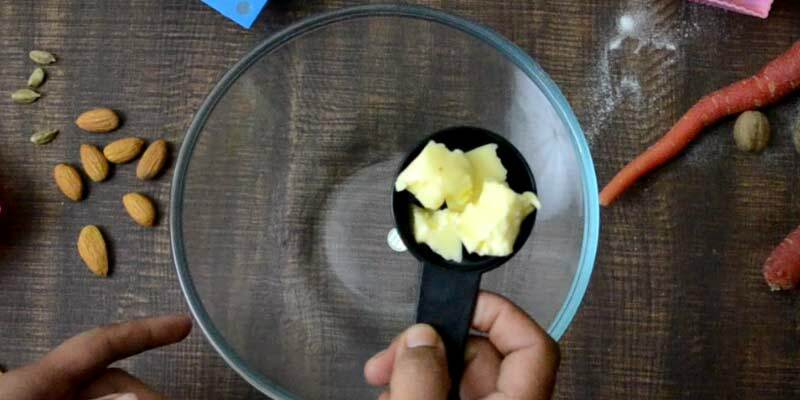 1 – In a deep bowl, take ¼ cup butter. 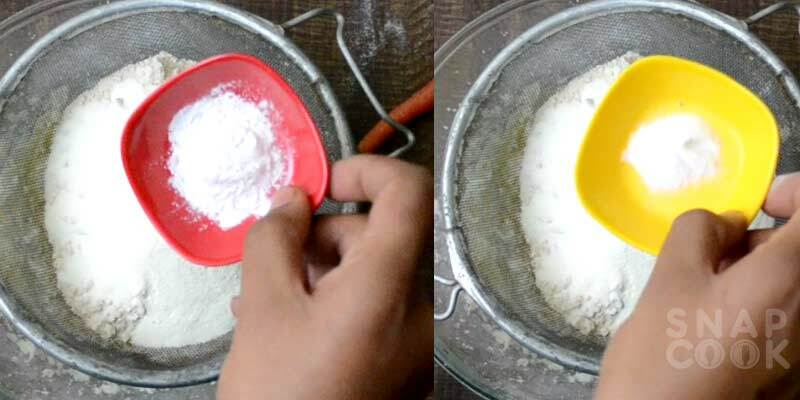 2 – Add ½ cup granulated sugar, 1 tablespoon milk. 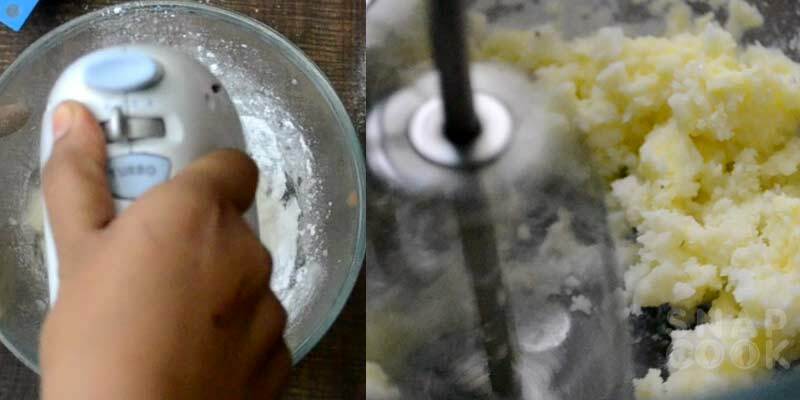 3 – Beat the mixture for 2 minutes or it becomes fluffy. 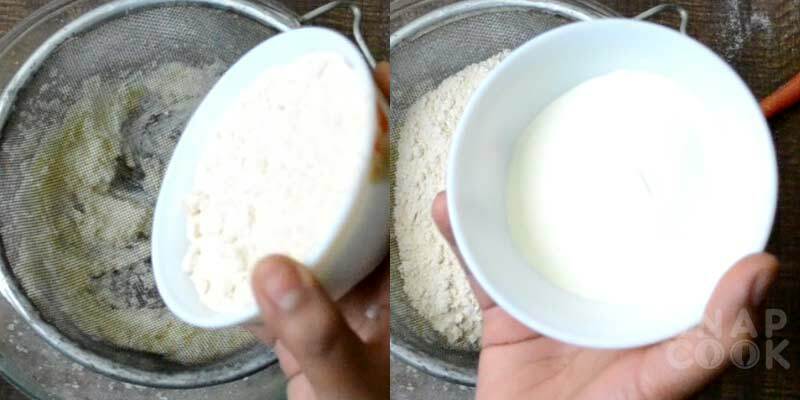 4 – Sieve 1 cup wholewheat flour, ½ cup milk powder. 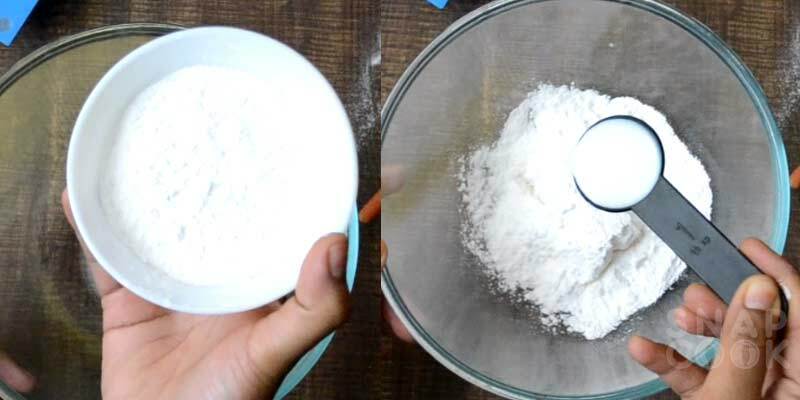 5 – Add 1 tsp baking powder, ½ tsp baking soda. 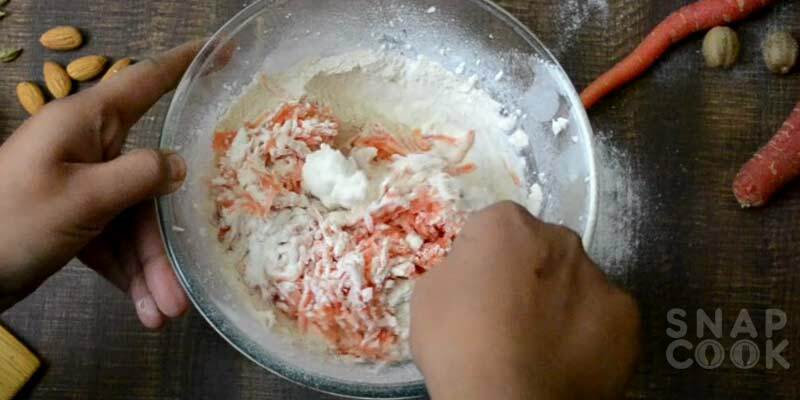 6- Add 1.5 cup grated carrot and mix well. 7- Add ¼ cup milk and mix well. Do not over mix. 8- Now add 1.5 tbsp orange juice, 1 tsp vanilla essence, and grated nutmeg. Mix well. 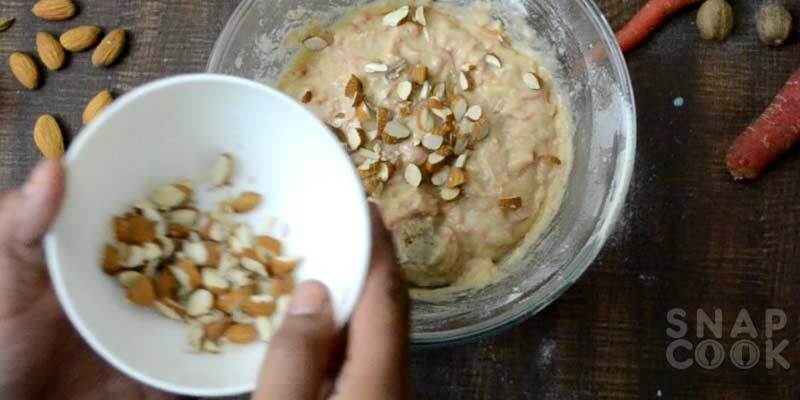 9- Add chopped almonds to the batter. 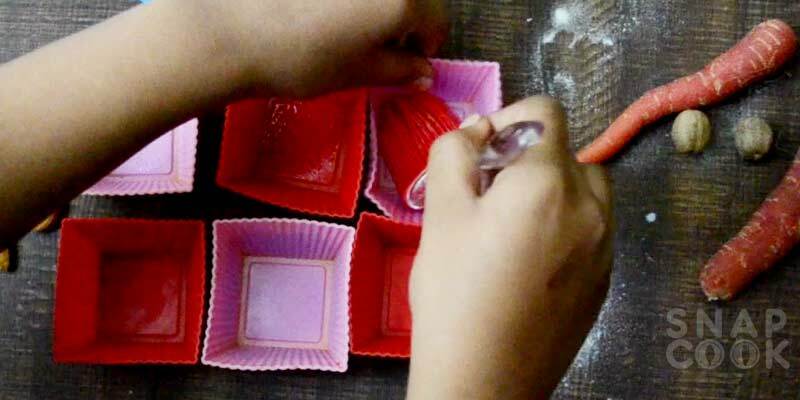 10- Grease the muffin moulds using oil. 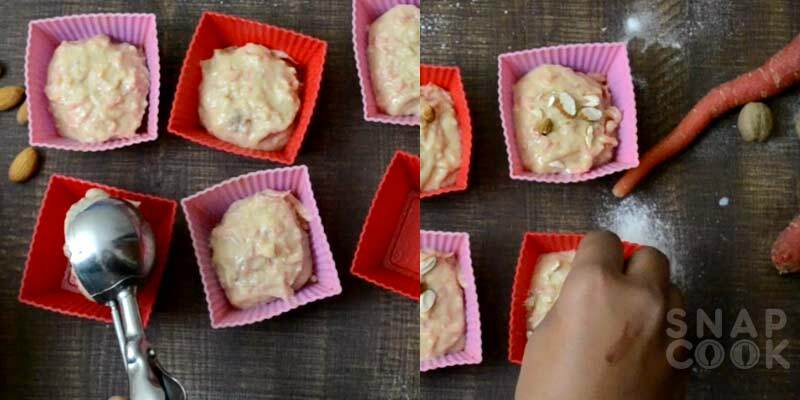 11- Add 1 scoop batter in each muffin mold and garnish with chopped almonds. 12- Bake the muffins at 180 deg C for 15 – 20 minutes or until a tooth pick inserted comes out clean. 13- Cool and store them, Keep good at room temperature for 3-4 days. Our Eggless Wholewheat carrot muffins are now ready. 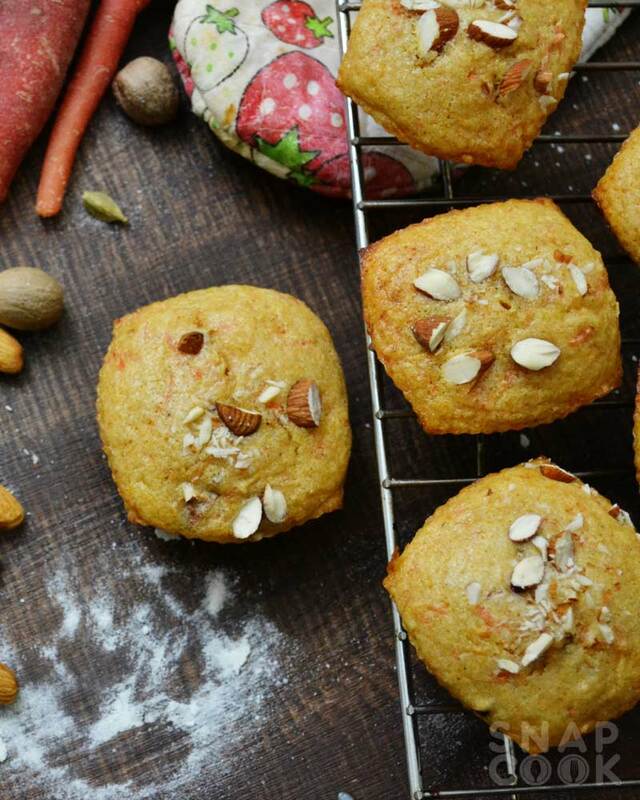 Carot Muffins recipe: How to make eggless carrot muffins using whole wheat atta. In a deep bowl, take ¼ cup butter. Add ½ cup granulated sugar, 1 tablespoon milk. 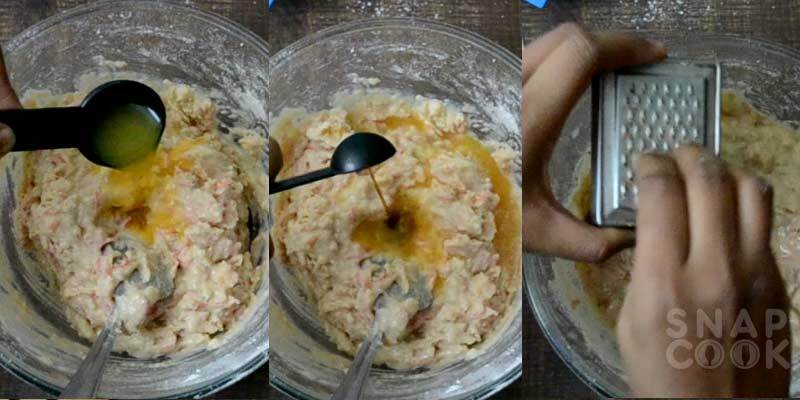 Beat the mixture for 2 minutes or it becomes fluffy. Sieve 1 cup wholewheat flour, ½ cup milk powder, 1 tsp baking powder, ½ tsp baking soda. Add 1.5 cup grated carrot and mix well. Add ¼ cup milk and mix well. Do not over mix. Now add 1.5 tbsp orange juice, 1 tsp vanilla essence, and grated nutmeg. Mix well. Add chopped almonds to the batter. Grease the muffin moulds using oil. 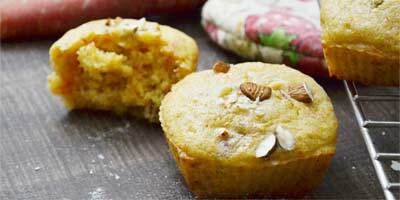 Add 1 scoop batter in each muffin mold and garnish with chopped almonds. Bake the muffins at 180 deg C for 15 – 20 minutes or until a tooth pick inserted comes out clean. Cool and store them, Keep good at room temperature for 3-4 days.